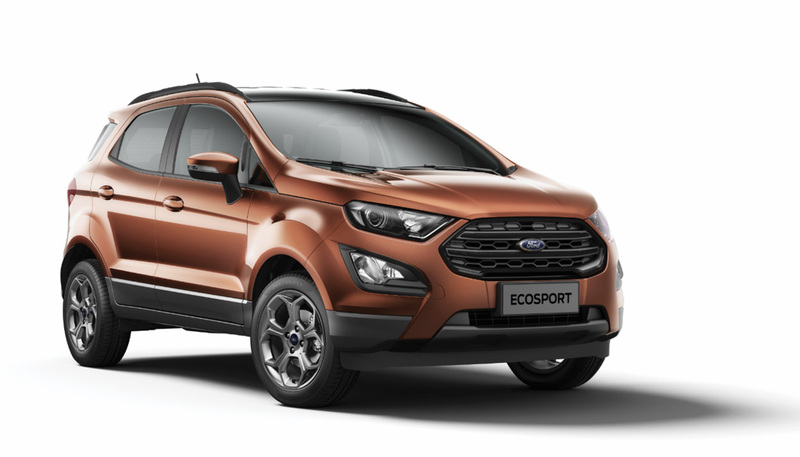 Ford India has today announced the expanded range of its best-selling EcoSport with the introduction of a new top-of-the-line EcoSport S and Signature Edition. Both the variants come equipped with power slide sunroof that Ford calls as “fun roof”. The EcoSport S also marks the return of the award-winning 1.0-litre EcoBoost engine – absent since the arrival of the facelifted version in November last year. It is good enough to produce a maximum power output of 125 PS of peak power and 170 Nm maximum torque. The EcoBoost is claimed to return a fuel economy of 18.1 kmpl and has 12% lower CO2 emissions than regular four-cylinder engines according to Ford. It is mated to an “all-new” six-speed manual transmission that is said to offer more precise gearshifts. The presence of sunroof has attracted family-based customers in recent times and Ford tries to capitalise on that. The new S variant adorns exterior changes, enhancing the compact SUV’s stance, such as smoked HID headlamps with dark inserts and there is more prominent black treatment to the fog lamp bezel. The dark theme continues on to the blacked out grille, black painted roof and roof rails and 17-inch smoke alloys for enhanced road presence. Stepping inside the cabin, the EcoSport S features orange accents on the seats as well as instrument panel for youthful touch. Also introduced is a new 4.2-inch digital information cluster and TPMS (Tyre Pressure Monitoring System). The petrol and diesel S versions are priced at Rs. 11,37,300 and 11,89,300 respectively (ex-showroom). 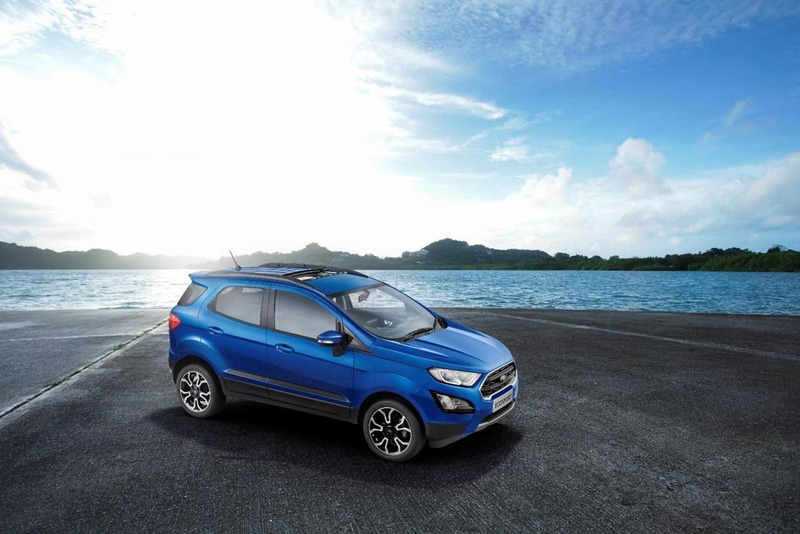 The EcoSport S with Sunroof is also sold with the trusted 1.5-litre TDCi diesel motor delivering100 PS peak power and fuel economy of 23 kmpl. Other important features are SYNC 3 connectivity with an eight-inch touchscreen and six airbags. Over to the Ford EcoSport Signature Edition, it comes paired to the 1.5-litre three-cylinder TiVCT petrol engine pushing out 123 PS of power and fuel efficiency of 17 kmpl – along with the 1.5-litre TDCi diesel engine. The slew of exterior changes in the Signature Edition are tweaked grille with chrome surround and diamond cut 17-inch alloys, black fog-lamp bezel along with all round graphics, rear spoiler and roof rails. The interior possesses blue accents on seat stitching, centre console and instrument panel. Customers can choose to buy the Signature Edition as an optional pack on the Titanium variant. The petrol and diesel Signature Editions are priced at Rs. 10,40,000 and 10,00,300 respectively (ex-showroom).